We older dudes and dudesses remember a time before Congress reset all national holidays except Independence Day to the nearest Monday to the traditional date. Originally, Memorial Day was May 31. Somehow it is fitting that the bookends for this week include this particular dudess finally being face to face and hand in hand with Hillary Clinton ( while being featured in Inside Chappaqua Magazine) and the fifth anniversary of the infamous meeting of the Democratic Party Rules and Bylaws Committee that reassigned and partitioned delegates Hillary had won in the 2008 primaries effectively disenfranchising primary voters in two states and handing the nomination to Barack Obama. The PUMA movement arrived yelling and screaming as most newborns do. On the other side of the political spectrum, a reaction brought an embryonic coalition into existence. In the days of Barry Goldwater, many young people read his Conscience of a Conservative and argued politics in essay assignments for school and over cafeteria lunches. A word seldom heard anymore was one we commonly used then, reactionary. By late summer 2008, in the wake of the Democratic National Convention where a shameful, scripted, televised imitation of a roll call vote ended when the winner of the party’s popular vote was escorted onto the convention floor and called for the unanimous nomination of the candidate who had garnered and been gifted with a few more delegates, the other baby of the summer was coming to term. Activist women, some angry that Barack Obama had bypassed his very well-qualified female former rival for the Veep spot – in fact would not even speak with them on the topic – headed to the Republican Convention to have a word with their nominee, John McCain. If you read the book, or better yet saw the movie Game Change, you know what happened next. Sarah Palin, of shooting wolves from helicopters fame, was drafted to the ticket in the Veep spot. By September 2008. PUMA talks shows on Blog Talk Radio and PUMA blogs began being invaded by people speaking of FEMA camps, coffins stacked stories high, blue helmets, black helicopters, and a private army while the Republican VP nominee made speeches about the Democratic nominee paling around with radicals. There is no doubt that elements of the Tea Party were drawn from the ranks of the PUMAs. Five years later, some who were diehard Hillary Clinton supporters have indeed turned hard against her as those early Tea Party infiltrators tried to convince us to do. But the PUMAs have remained cohesive via Facebook groups and blogs. We may not receive the publicity the Tea Party does. We do not seek it, but we are still together. If /when our Hillary wants us, this solid core of her loyalists are already organized around her. We have stuck by her over these six years since she so appealingly began the conversation with us. We stayed beside her when she was robbed of her delegates, and we celebrate our anniversary together while our girl, as yet having made no commitment to a second run for the roses, continues to top the polls. A new Quinnipiac poll out today pits her against two dynastic possible rivals, Jeb Bush, of the more traditional Republican brand, and Rand Paul, darling of the reactionary firebrand variety that has overtaken the party and left Congress in paralysis. While she remains in the shade, setting up her office within the family foundation, her appeal and charisma continue to keep her in the news. PDF formatIn an early look at the 2016 presidential campaign, former Secretary of State Hillary Clinton leads Sen. Rand Paul of Kentucky 49 – 41 percent and former Florida Gov. Jeb Bush 48 – 40 percent, but Vice President Joseph Biden trails Bush 44 – 38 percent and falls behind Paul 43 – 39 percent, according to a Quinnipiac University poll released today. Bush: 29 – 29 percent, with 42 percent who haven’t formed an opinion. “Former Secretary of State Hillary Clinton remains the queen of the 2016 hill at this point, but the wide gap between her and some of the leading Republican contenders on favorability may be closing, as her overall favorability has taken a hit,” said Peter A. Brown, assistant director of the Quinnipiac University Polling Institute. “Her score is down substantially from her all-time high score in February. The drop in her favorability is substantial among men, Republicans and independent voters. One reason for her drop may be that 48 percent of voters blame her either a little or a lot for the death of the American ambassador in Benghazi,” Brown added. In the hypothetical race between Clinton and Jeb Bush, she carries Democrats 92 – 3 percent, but loses Republicans 82 – 8 percent and splits independent voters 42 – 43 percent. She wins women 55 – 35 percent, but loses men 45 – 40 percent. Clinton gets a 91 – 4 percent favorability among Democrats and a 46 – 42 percent favorability from independent voters, with a negative 18 – 77 percent favorability from Republicans. Women are favorable 59 – 32 percent, while men are negative 44 – 50 percent. In February, she was 91 – 5 percent favorable among Democrats, negative 27 – 68 percent among Republicans and 59 – 35 percent positive among independents. She was 53 – 42 favorable among men and 68 – 27 percent favorable among women. 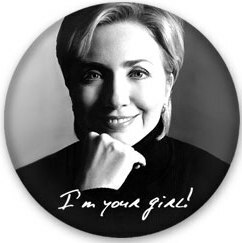 For those of us who remember this day in history, Hillary is the glue. She is the magnet that drew us together and keeps us tight. We have stayed with the girl we took to the dance in 2008 even though the party tore up our prom tickets. This just arrived with new details about the Clinton Global Initiative in Chicago June 13-14. As you know, Hillary will be participating this time. I wonder why Cory Booker’s name is not on that list of mayors. He wants to run for Frank Lautenberg’s NJ Senate seat. Seems to me, if you are a Dem running for office in NJ, it is wise to have the Clintons on your side. Even Chris Christie is participating. Why not Cory Booker? NEW YORK—Today, new participants and program details were announced for the 2013 meeting of Clinton Global Initiative America (CGI America), to be hosted by President Bill Clinton, Former U.S. Secretary of State Hillary Rodham Clinton, and Clinton Foundation Board Member Chelsea Clinton June 13-14 in Chicago. Senior Advisor to the President Valerie Jarrett, Chief Technology Officer of the United States Todd Park, Chair of the Board and CEO of DuPont Ellen Kullman, Chairman, President and CEO of Duke Energy Corporation Jim Rogers, Walmart U.S. President and CEO Bill Simon, and leading U.S. mayors are among the latest participants slated to join nearly 1,000 business, government, and civil society leaders at the annual gathering dedicated to accelerating economic recovery and promoting the long-term competitiveness of the United States. Other newly announced CGI America participants from the business and nonprofit sectors include some the country’s leading innovators and experts on sustainable economic development, such as James Anderson, director of government innovation, Bloomberg Philanthropies; Janie Barrera, president and CEO, ACCION Texas, Inc.; Mike Brady, president and CEO, Greyson Bakery; Nikki Cicerani, executive director, Upwardly Global; Harold DePriest, president and CEO, EPB; Liz Dwyer, education editor, GOOD Magazine; Carly Fiorina, chairman and CEO, Carly Fiorina Enterprises, chairman, Good360; Sara Martinez Tucker, chief executive officer, National Math + Science Initiative; Tracey Nichols, director of economic development, City of Cleveland; Rex Northen, executive director, Cleantech Open; Katie Rae, managing director, TechStars Boston, founder, Project 11; Jessamyn Waldman Rodriguez, founder and CEO, Hot Bread Kitchen; Davier Rodriguez, winner of CGI University’s Commitments Challenge and co-founder, DREAMzone; Beth Shiroishi, vice president, sustainability and philanthropy, AT&T Services; and Laysha Ward, president, community relations, Target Corporation. For the first time, CGI America will feature Broadcast Conversations, programming produced in conjunction with and broadcast by CGI media partners, which is now a regular feature of the CGI Annual Meeting in September. At this year’s meeting of CGI America, Bloomberg TV anchor Trish Regan will host sessions where top government, business, and nonprofit leaders will address the U.S. economy, including how to improve access to capital for small businesses and how the U.S. can enhance its energy production in a way that’s sustainable for the environment and beneficial to the economy. CGI America 2013 will also serve as the site of the next meeting of the Infrastructure Financing for Cities Task Force (IFC Task Force). Launched in April and chaired by Chicago Mayor Rahm Emanuel with the co-leadership of President Clinton, the IFC Task Force is a collaborative effort by the U.S. Conference of Mayors (USCM) and CGI to spur investment into job-creating public infrastructure projects. Task Force mayors participating in CGI America 2013 include Mayor Emanuel; Philadelphia Mayor and USCM President Michael Nutter; Indianapolis Mayor Greg Ballard; Jacksonville Mayor Alvin Brown; Oklahoma City Mayor Mick Cornett; Louisville Mayor Greg Fischer; Redmond, Wash. Mayor John Marchione; Houston Mayor Annise Parker; Atlanta Mayor Kasim Reed; and Mesa, Ariz. Mayor Scott Smith. Today’s list of new participants join the business, government, philanthropy, and nonprofit leaders announced May 2, including Chris Christie, governor of New Jersey; Jacob J. Lew, United States Secretary of the Treasury; Randi Weingarten, president, American Federation of Teachers; Jim Gibbons, president and CEO, Goodwill Industries International, Inc.; Anne R. Pramaggiore, president and CEO, Commonwealth Edison; Jessica Jackley, venture partner, the Collaborative Fund; Eva Longoria, founder, the Eva Longoria Foundation; Janet Murguía, president and CEO, National Council of La Raza; and Lucien Vattel, chief executive officer, GameDesk. For more information, including the full program and list of participants, visit cgiamerica.org. 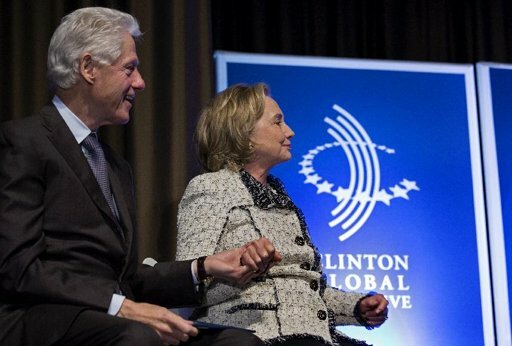 Follow us on Twitter @ClintonGlobal and Facebook at facebook.com/clintonglobalinitiative for meeting news and highlights. The event hashtag is #CGIAmerica. Sponsors for CGI America 2013 include: J.B. & M.K. Pritzker Family Foundation; Allstate Insurance Company; American Federation of Teachers; APCO; Chevron; Diageo; ExxonMobil; Freeport-McMoRan Copper & Gold; The Joyce Foundation; MacArthur Foundation; Peter G. Peterson Foundation; and Toyota. Maggie Haberman at Politico reports that Hillary Clinton has begun staffing her office at the Clinton Foundation by hiring an executive director. Hillary Clinton is staffing up at her family’s foundation, bringing on a longtime associate as the executive director of her office there, according to an e-mail sent around this week. Maura Pally, who worked in cultural affairs at the State Department while Clinton was there, later went on to work at Bloomberg Philanthropies. “Maura will supervise Secretary Clinton’s Foundation-related activities, exploring new opportunities and ways to leverage existing Foundation efforts. 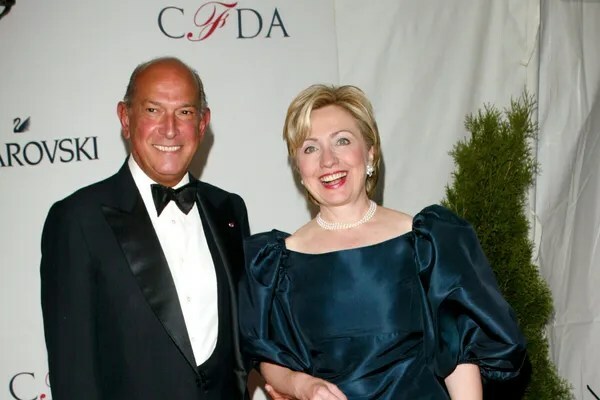 She is excited to be joining the Foundation family,” said Clinton Foundation CEO Bruce Lindsey in an email to staff that was sent around Tuesday. And the Hillary fever continues! This time from Irish Central. They love our girl as much as we do! The secret locked Twitter account! DA-DA-DA-DAAAAA! Must mean she is running! (Couldn’t possibly have anything to do with her opening an office at the family foundation. Naaah!) I cannot help but think that the “Irish Central Staff Writers” are female and were also Nancy Drew fans (as were so many of us). Further fueling candidacy rumors, a Twitter account named ‘Hillary Clinton’ has been located, though it has been locked thus preventing any information to be publicized yet. Washington, D.C. (May 29, 2013) – Today, the U.S. Green Building Council (USGBC) announced that Former Secretary of State Hillary Rodham Clinton will give the opening keynote address at its 2013 Greenbuild International Conference and Expo. This year’s conference will take place November 20-22 in Philadelphia at the LEED Gold-certified Pennsylvania Convention Center. Registration opens June 5, 2013. Hillary Clinton Addresses Women Deliver – Retirement? What Retirement? On Monday she marched in the Memorial Day parade decked out in red, white, and blue, and on Tuesday she addressed the huge global conference, Women Deliver, in Kuala Lumpur, Malaysia. 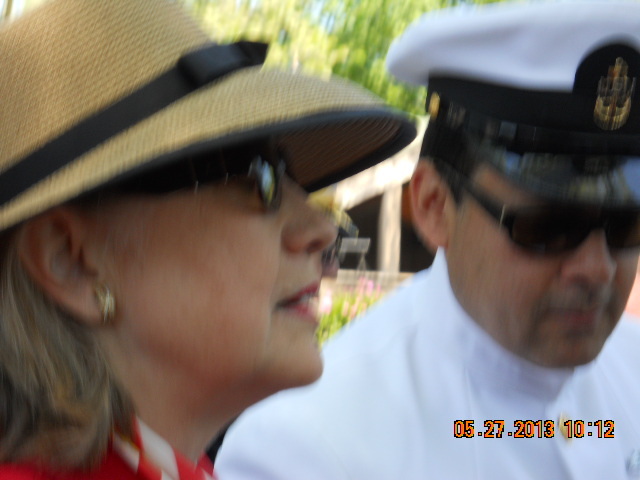 Her hubby says she is enjoying her downtime away from public office, but, in retirement, Hillary Clinton is no slouch. I do not know how many hands she shook, hugs she gave, or pictures she granted on Monday, but she addressed the world on Tuesday, not in her usual way as US secretary of state, but as Hillary Clinton, private citizen and world leader. No, she did not fly halfway around the world in less than a day. It was a pre-recorded message, the kind she frequently provided as SOS when her schedule could not accommodate a gathering she wished to address. She sent a video (which I have not found yet – and there is no transcript available so far), but just so you know, Hillary Clinton is keeping on keeping on! 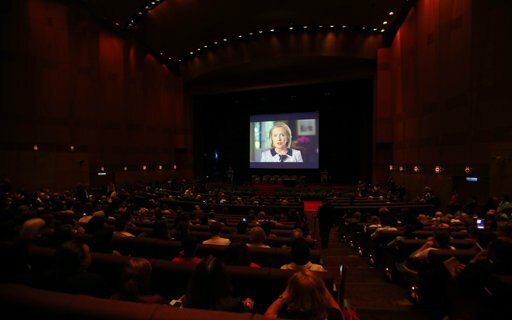 Former U.S. Secretary of State Hillary Clinton speaks during the Women Deliver 2013 conference via recorded video, in Kuala Lumpur May 28, 2013. Today is the opening day of the 2013 Women Deliver Global Conference, the largest conference on women’s health, maternal health and maternal mortality in the world. Oh how I miss the days when her videos and remarks were so easily available! But she is doing her thing and enjoying it. I guess we can live with that. You go, girl! We are watching. Rock on! We love you! Upcoming on Hillary Clinton’s Agenda? Oh the difference between then and now! When Hillary Clinton was secretary of State, press releases with scheduled events regularly appeared in my inbox. Now, all is speculation. Here are some possibilities in the near and far future. Maggie Haberman and Glenn Thrush at Politico went out on a long limb today with a prediction of personnel who might be part of a campaign for Hillary Clinton 2016. Most of the names were predictable, and without mentioning anyone in particular, I would suggest an infusion of manners to a few of them before they begin sending emails in her name. We may be Democrats and relatively informal people, but this New Dem tendency of addressing people with “hey” in the subject line is offensive and unbecoming anyone associated with Hillary. Forecasting the nature of a possible campaign of a so far undeclared candidate, they asserted, based on unnamed sources, that Hillary will activate a Twitter account soon. After 2008, who would Hillary Clinton hire? One indication Clinton’s team might lean toward the latter in 2016: She is likely to soon start posting to the soon-to-be-activated @hillaryclinton on Twitter, signaling her first personal foray into the medium outside her official State Department account, according to a person familiar with the situation. One small correction I would make to that passage: That would not be her first personal foray into the Twittersphere. Veterans of HillaryClinton.com will remember her Myspace, Facebook, and Twitter accounts from 2008. The Twitterfeed ended rather abruptly right before South Dakota, if I remember correctly. Her website was where I learned abut Twitter, and I joined to be able to follow her. At first, I actually thought it was something she had invented because it sounds like the kind of word she would use – like “Townterview,” for example. I even posted a comment or sent an email, I cannot remember which, asking if she had made that up. We hope her social nets are more regularly moderated than in 2008 when it seemed to so many of us that the only person whose blog comments were approved were those of my dear friend Normita Fenn. We laugh about it now but felt ignored in 2008. It was frustrating. 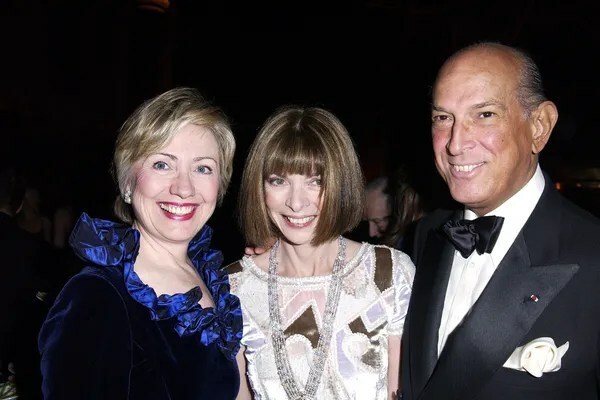 In the nearer, and probably more predictable future, we see New York Magazine suggesting that our girl might attend the CDFA awards next Monday where she will possibly present an award to her friend and frequent designer, Oscar de la Renta. We love seeing her in evening wear and hope this is true. I would also like to thank Mme. Secretary again for her kindness and patience taking time yesterday to meet me. She is most gracious and generous. I was so enthralled that I completely forgot to ask her how I can get her press releases.